It doesn't really matter whether it is your first day in Elmoreden or you are already an experienced warrior, we give you 7 days of free access to the Lineage 2 Classic! 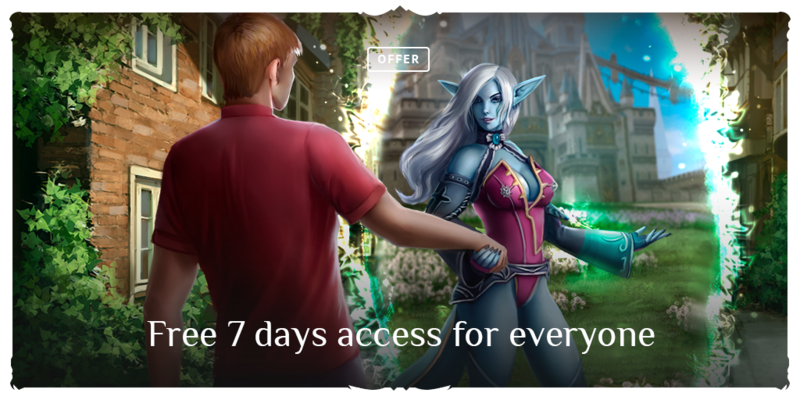 You need to enter the launcher, сhoose the game, press “extend the subscription” button and buy the subscription "7 days" for 0 €. Take part in the battles, join the party, become a new Elmoreden hero! If you decide to spend some time, we have a nice deal for you! You can have a subscription discount if it bought before the 12th of December. And if it is your first time in Elmoreden, you can also buy a 1-month subscription for 2 Euro only! iBlackbird, Suchy, Troy and 3 others like this.